Dr Primrose Freestone (BSc (Hons), PhD, PGCE) is a Lecturer in Clinical Microbiology. 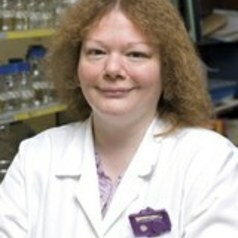 She is a biochemist by training, with extensive experience in bacterial physiology and biochemistry, including bacterial protein phosphorylation (she was the first to identify tyrosine phosphorylation as a regulatory mechanism in bacteria and provided key evidence concerning the biochemical function of the Universal Stress protein (uspA) in E. coli). Currently, Dr Freestone’s research interests are focused on the relationship between stress and infection. She is a co-founder and internationally recognised leader in the field of Microbial Endocrinology, a newly recognised research discipline which represents the intersection of microbiology, endocrinology and neurophysiology. Microbial Endocrinology is directed at providing a new framework with which to examine and understand the ability of microorganisms to interact with a host in both health and disease (Freestone et al 2008, Trends in Microbiology). Dr Freestone’s Microbial Endocrinology research interests are focussed on the relationship between stress and how it influences human and animal infection, particularly the effects of exposure to human stress hormones such as adrenaline and noradrenaline on bacterial growth and virulence. This research has led to the demonstration that stress hormones stimulate biofilm formation in normally harmless skin commensals such as Staphylococcus epidermidis, an important factor in the mechanism by which these inadvertent pathogens form biofilms within indwelling medical devices. This research was funded by the Wellcome Trust and was published as a lead article in the Lancet. Other ongoing research projects include molecular analyses of stress hormone responsiveness in E. coli, Salmonella, the staphylococci, and other bacterial pathogens. Dr Freestone is an editorial board member of Recent Patents on Anti-Infective Drug Discovery, Bentham Publishers, and a member of the SGM, ASM and SFAM. She has research collaborations with Professor Mark Lyte, Texas Tech University; Texas, USA, Professor Charles Penn, University of Birmingham; Dr Anthony Roberts, School of Dentistry, University of Manchester; Professor Vic Norris, University of Rouen; Dr Nick Walton, Institute of Food Research, Norwich, and with colleagues at the University of Leicester, including Dr Jonathan Woodward, of the Department of Chemistry and within the Department of III - Professor Christopher O’Callaghan, Professor Richard Camp, and Dr Jonathan Barratt.